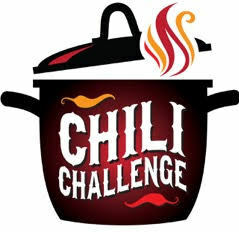 The Grange Chili Challenge is Saturday, March 9, from 5:30 – 7:30 PM. CASH PRIZES! $100 1st Prize, $75 2nd Prize and $50 3rd Prize. TO ENTER YOUR CHILI IN OUR CONTEST, JUST BRING A CROCK POT FULL OF YOUR FAVORITE CHILI TO THE GRANGE BETWEEN 5:30 AND 6:00 PM. Everyone who buys a ticket to the cook-off gets to vote for their favorite chili. Come hungry and ready to judge the best chili in the county! If you are not entering your chili in the contest, bring a side dish or dessert – cornbread, salad, veggie trays or rolls. Tickets are $10 adults and kids 12 and under are FREE. Call Claire at 509-857-2580 for tickets or information. The Swauk-Teanaway Grange is at 1361 Ballard Hill Rd, Cle Elum, WA. Look for signs at the intersection of SR 970 and Teanaway Road.